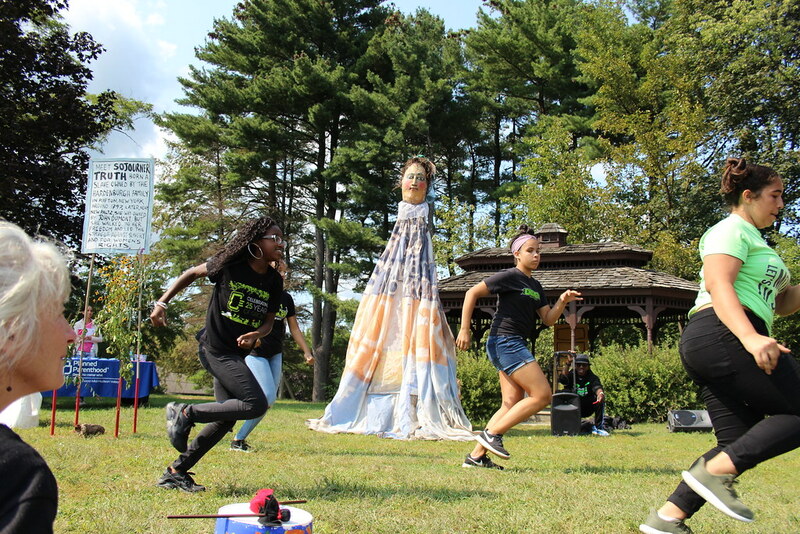 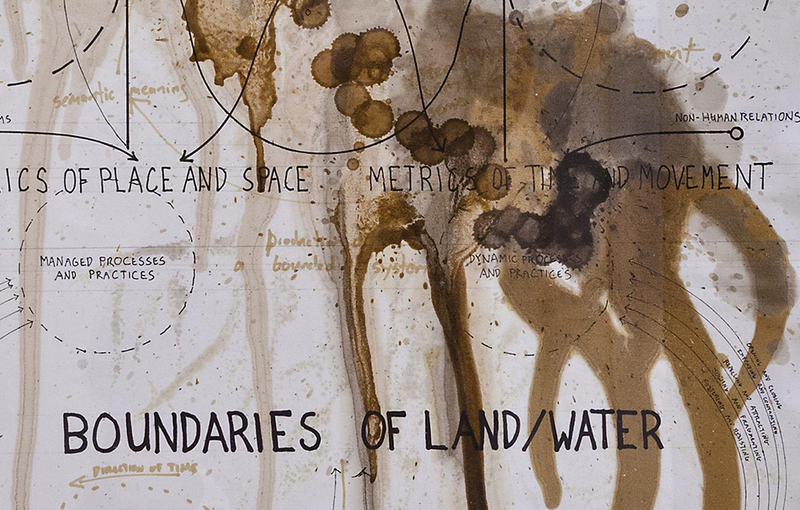 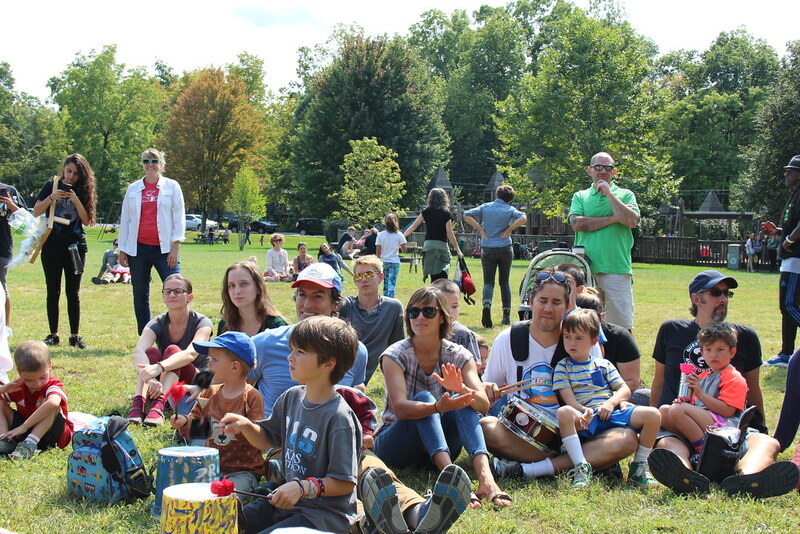 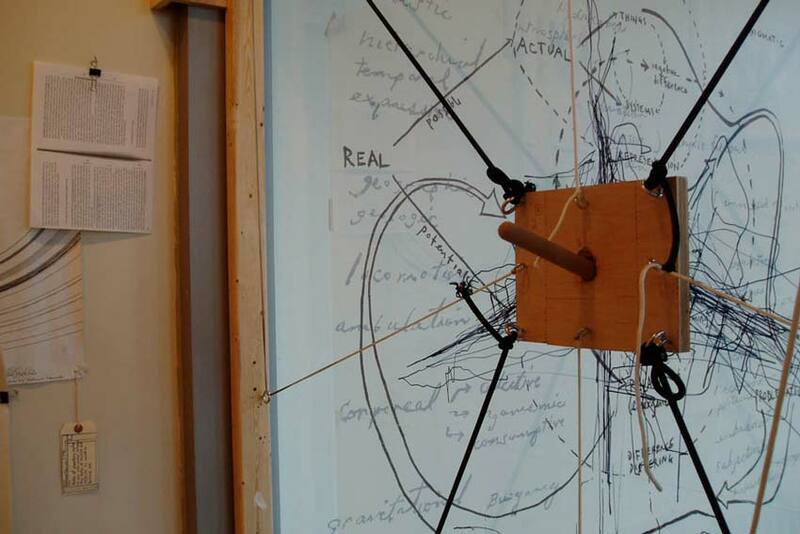 This celebration of solidarity was part of Unison Arts Center’s Fall Series, Labor and Sanctuary: From Underground Railroad to Sanctuary Cities in which Labor Day, Columbus Day, and Thanksgiving provide a backdrop for a community exploration of Labor and Sanctuary. 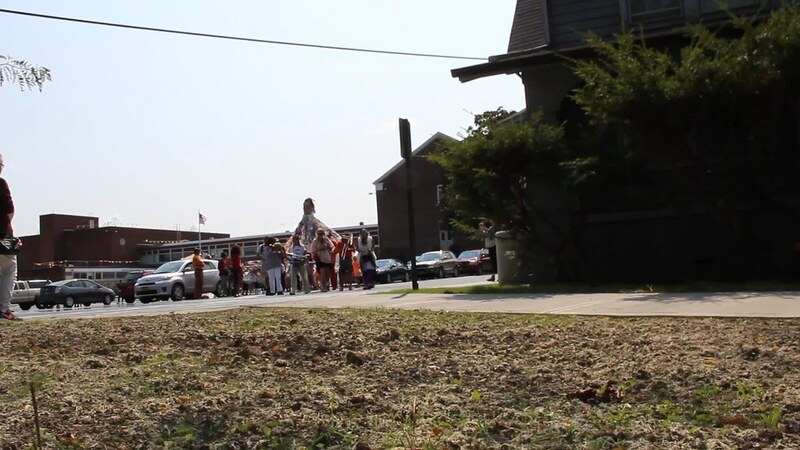 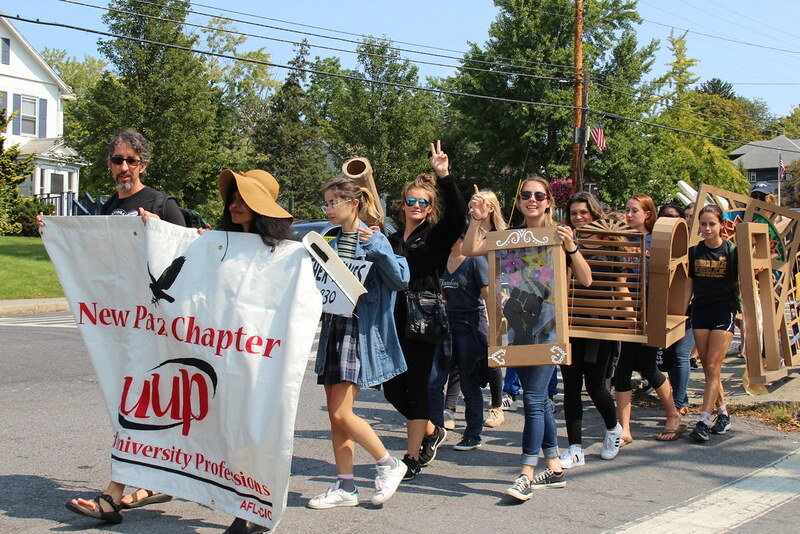 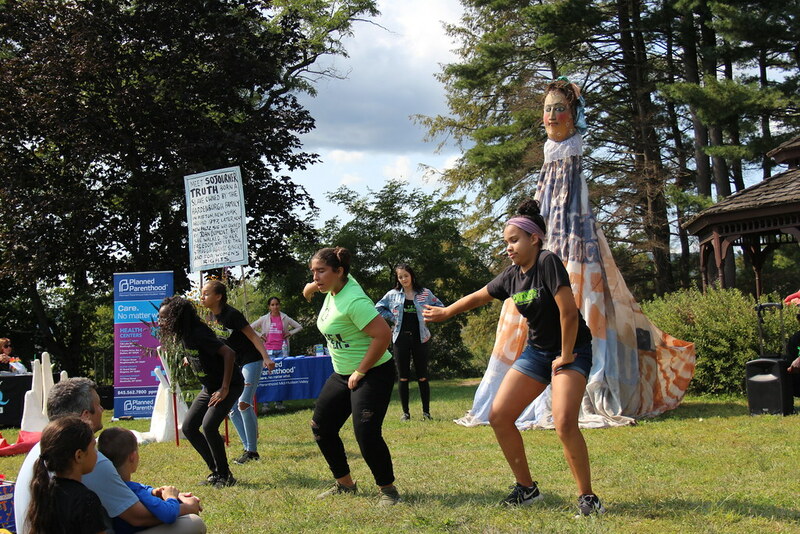 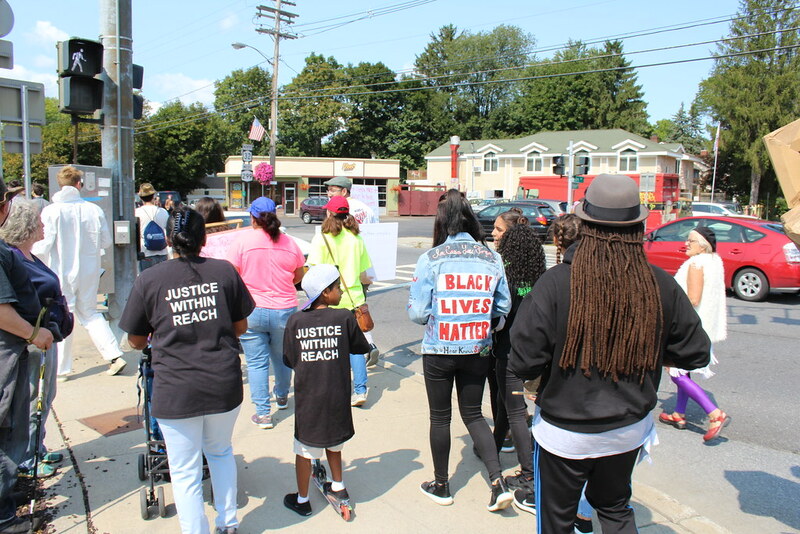 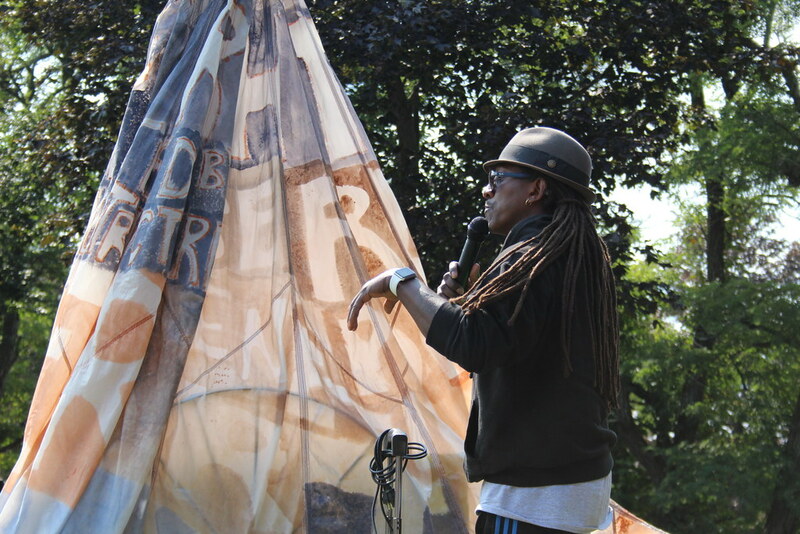 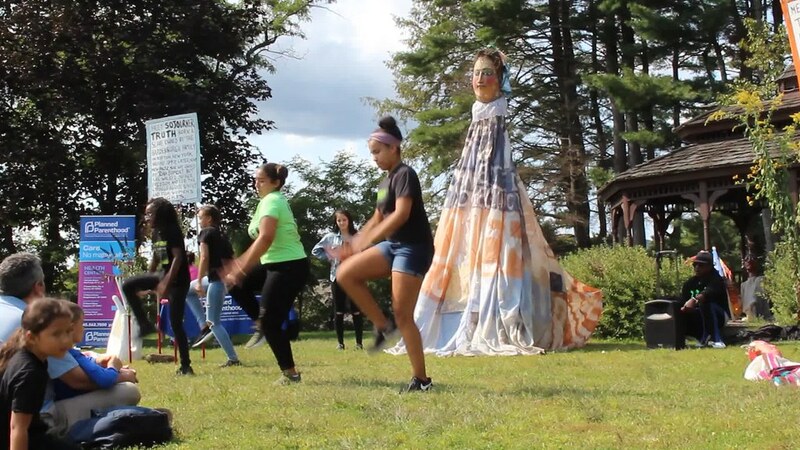 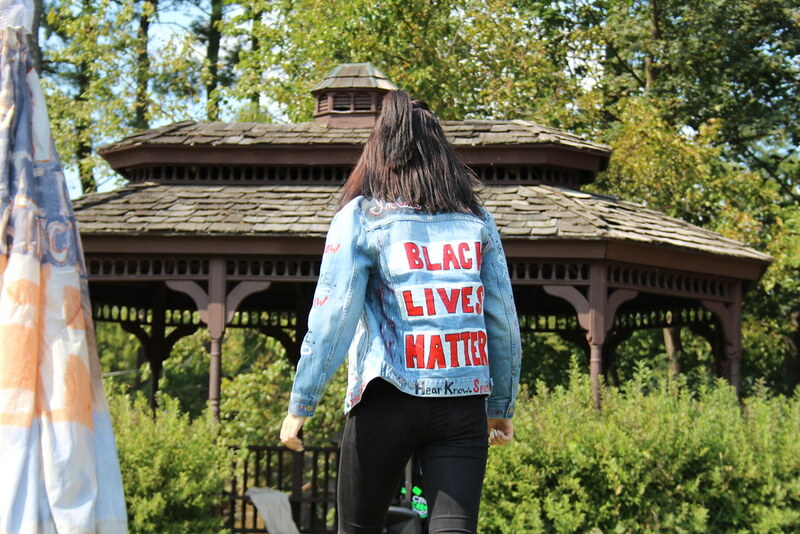 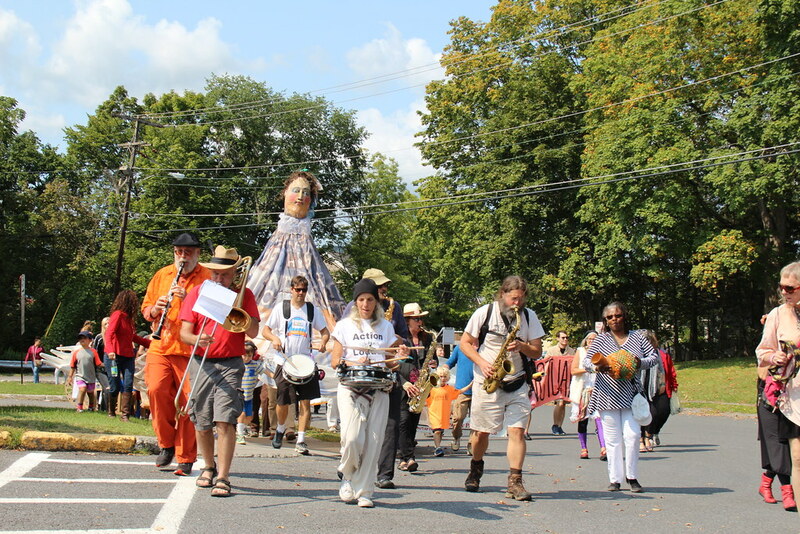 The parade included organizations that bring diverse perspectives and modalities; creatively exploring labor and sanctuary through the arts, while building community and engaging in personal and societal healing. 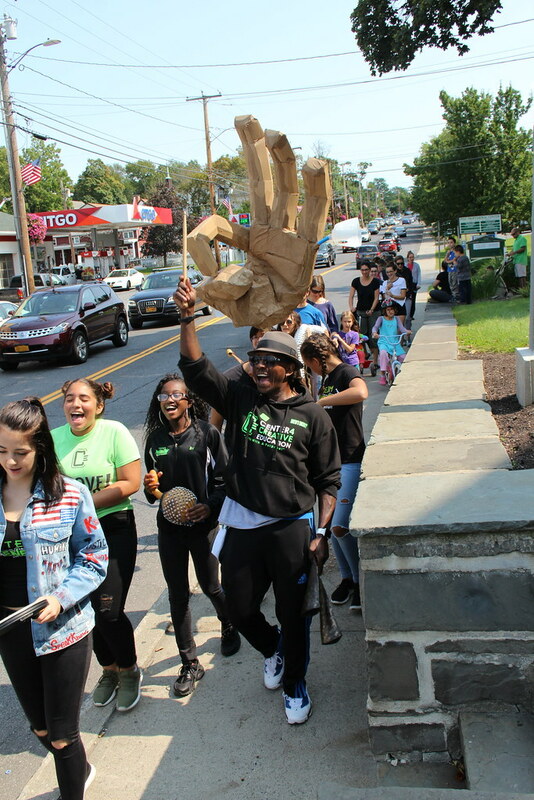 Sojourner Truth found sanctuary from slavery with abolitionists in New Paltz. 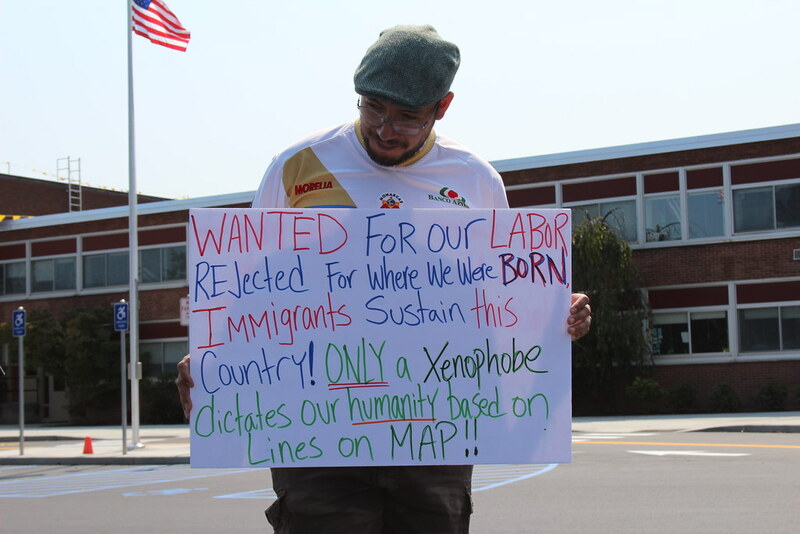 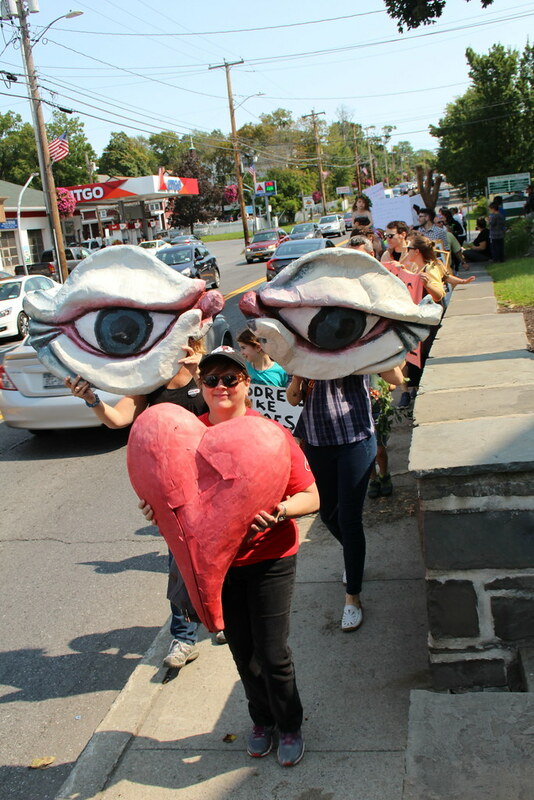 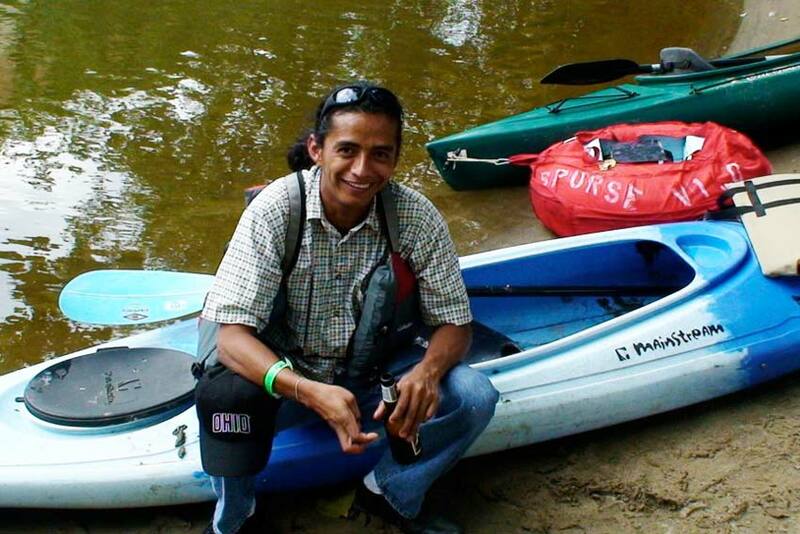 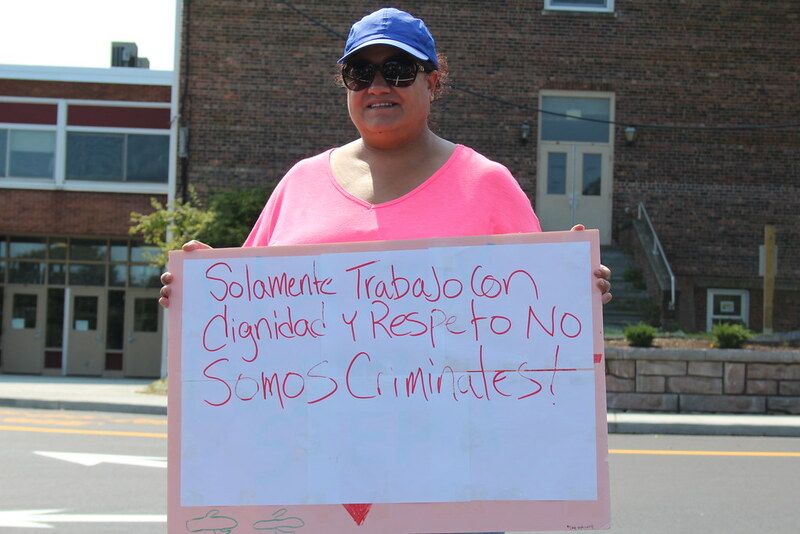 Today, undocumented workers in the Hudson Valley seek sanctuary from exploitation and the threats of detention and deportation. 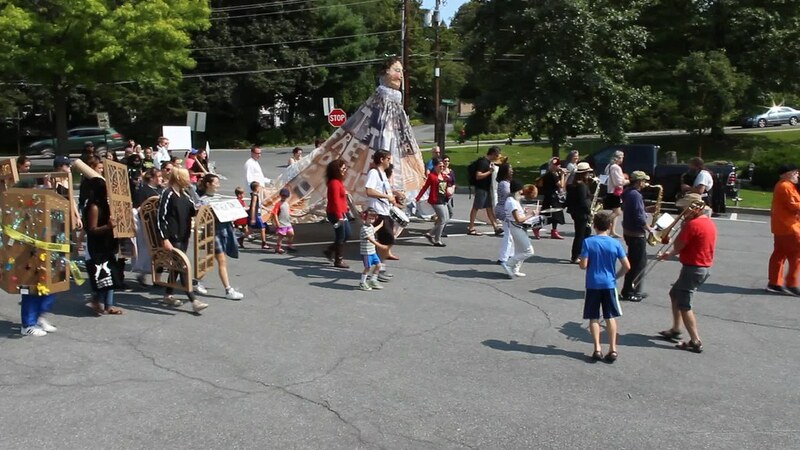 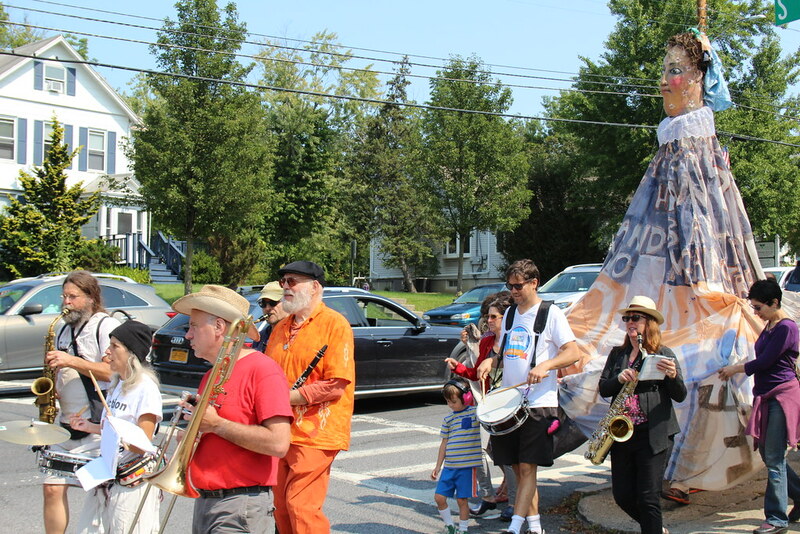 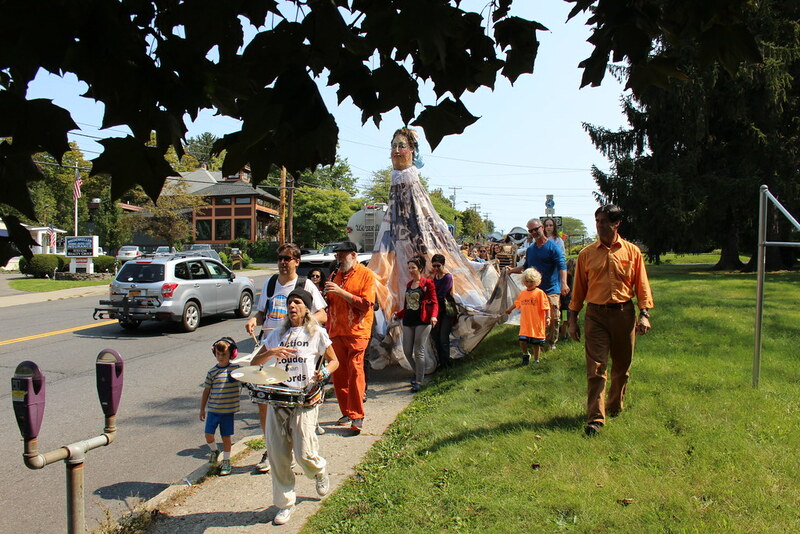 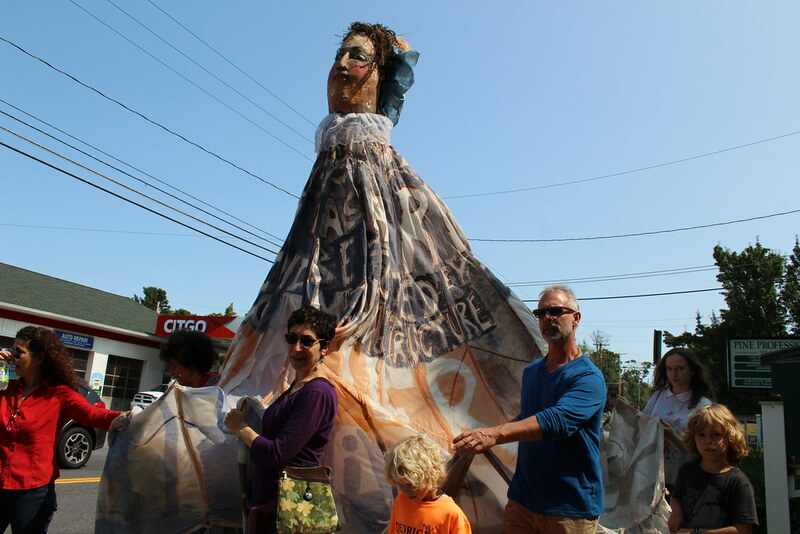 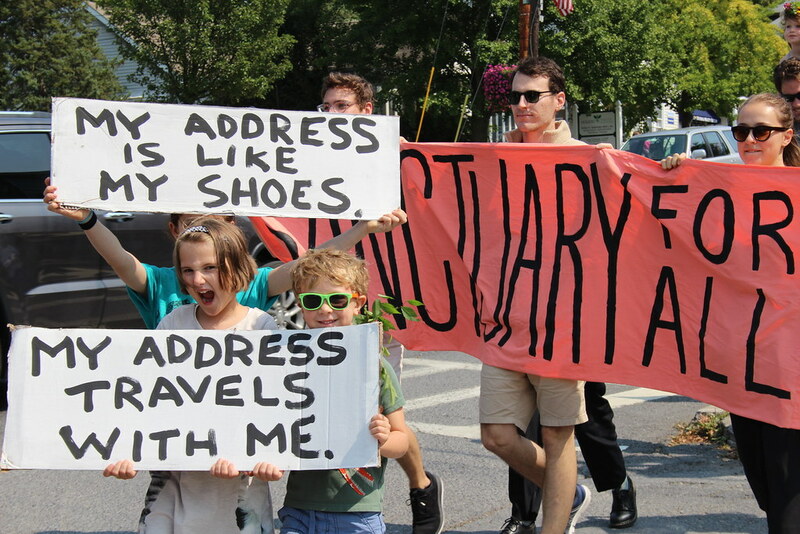 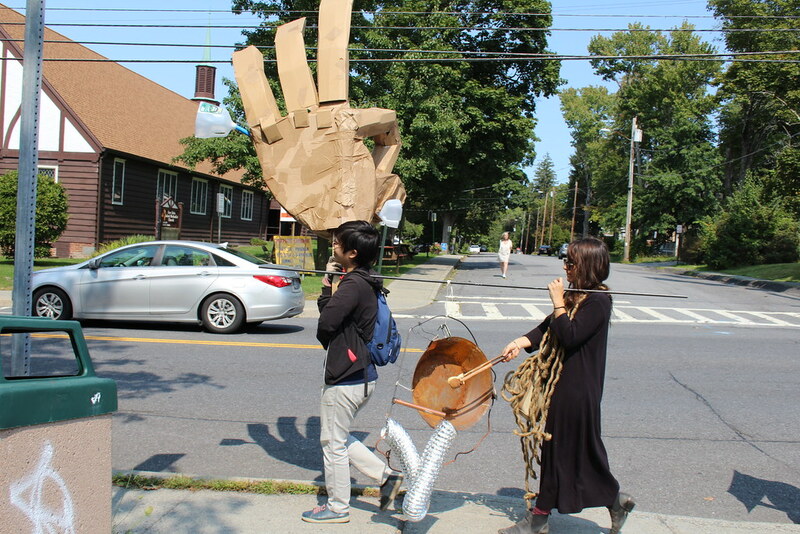 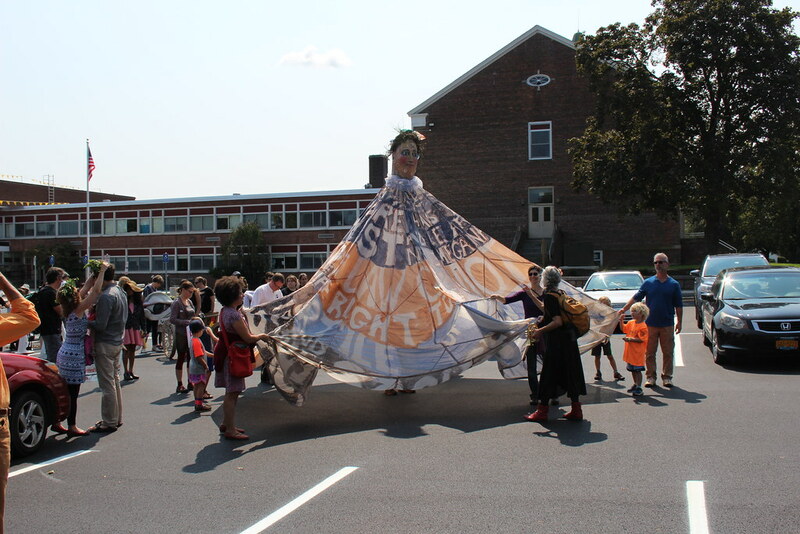 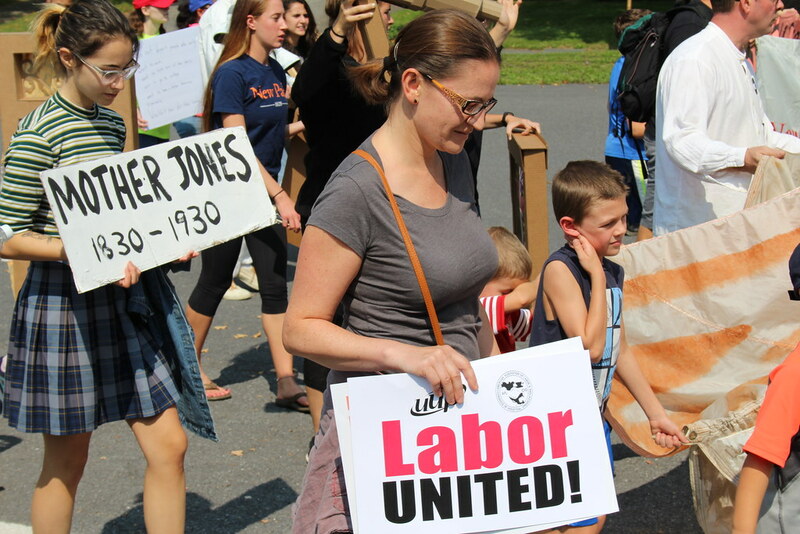 The Sanctuary Parade honors the histories of labor and immigrants – from the horror of slavery and the promise of the Underground —to the pressing need to advocate for the dignity of all, including undocumented workers. 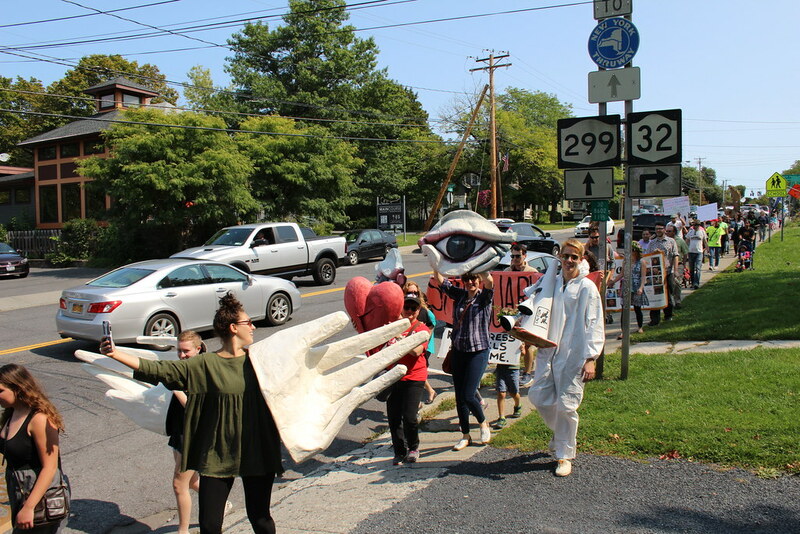 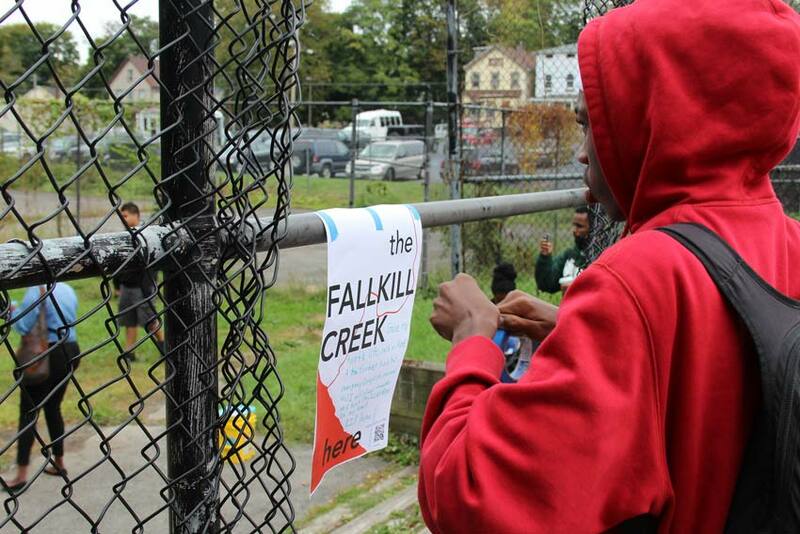 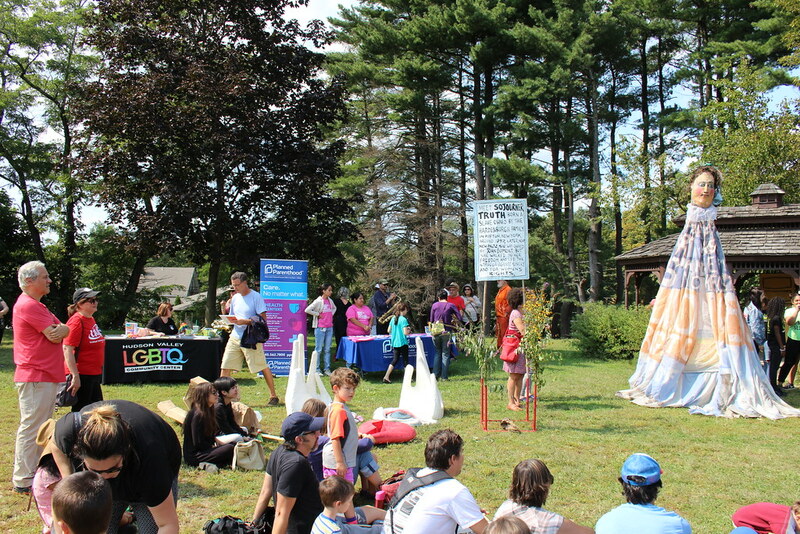 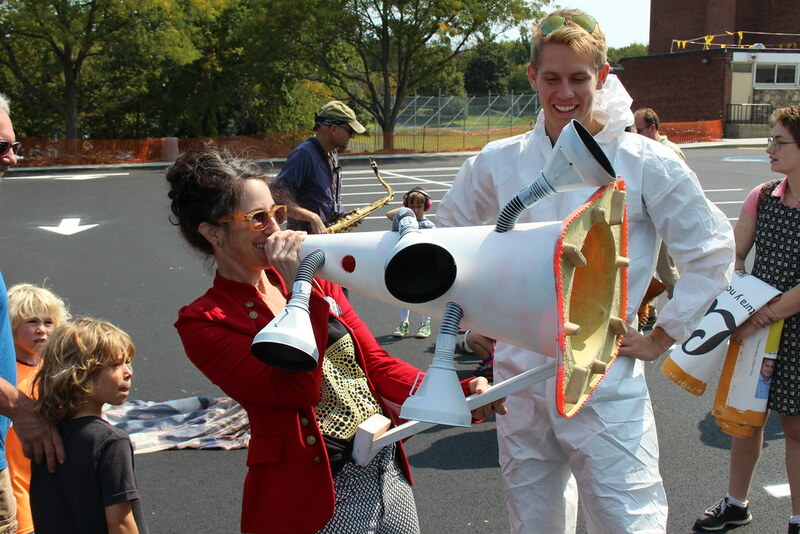 Community partners include: Redwing Blackbird Theater, Engaging Lectures with Everyday Experts, SUNY New Paltz Art Department, United University Professions (New Paltz chapter), the Center for Creative Education, the Hudson Valley LGBTQ Community Center, The Roost Youth Group, La Voz from Bard College, Percussion Orchestra of Kingston (POOK) performing in the parade and festival and more!